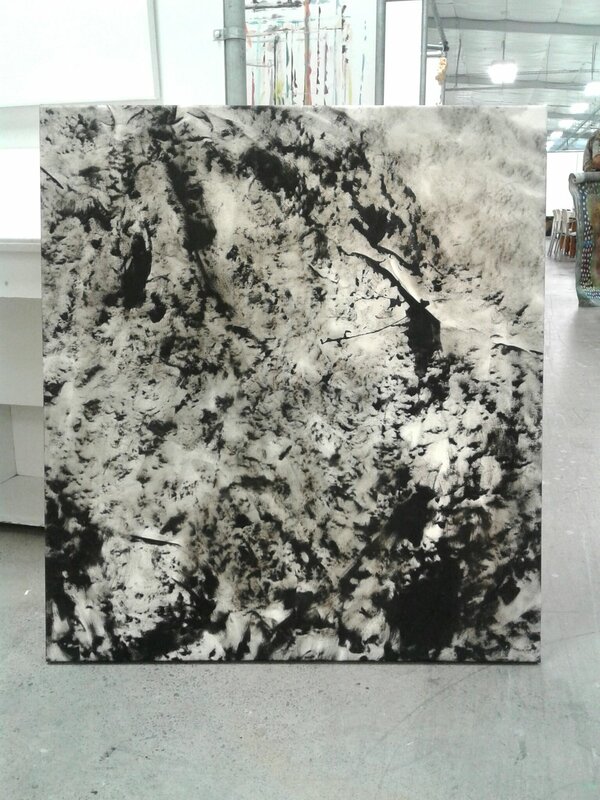 This body of work was made by referring to source material (photographs, found material, texture rubbings, audio and visual recordings) that I took from a specific site on Mt Taranaki earlier this year, and in particular refers to a moving image recording. 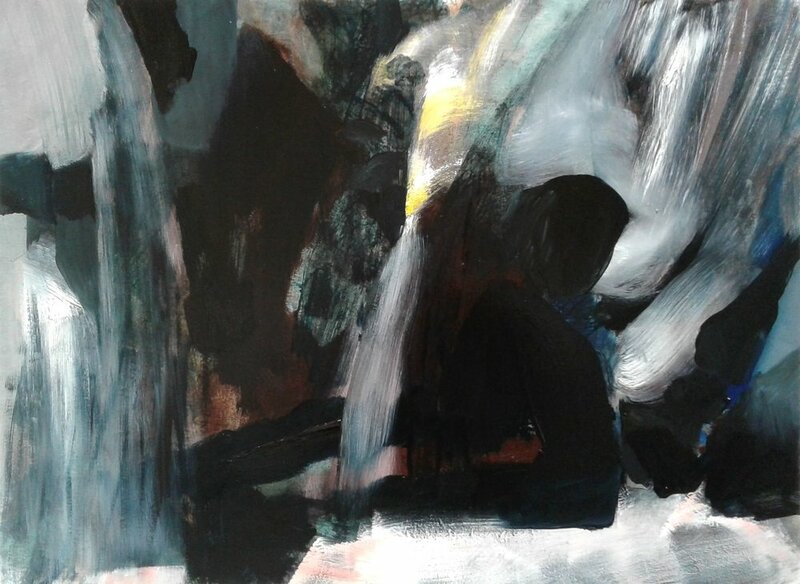 I use painting to convey an experience of place, through mark making, gesture, and combining formal painting elements in the picture plane, that record my response to a phenomenological event. 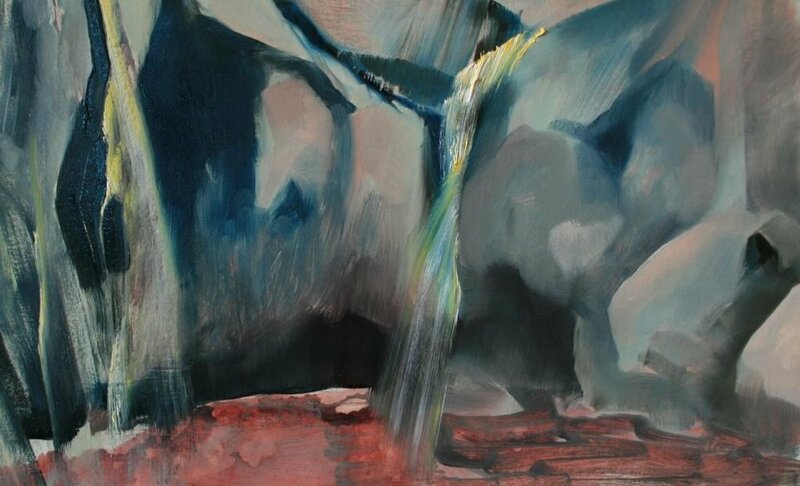 The work seeks to convey subtle changes of light, coolness of water, solidity of land forms, movement, and a sensory experience of being in the landscape, through the act of painting. 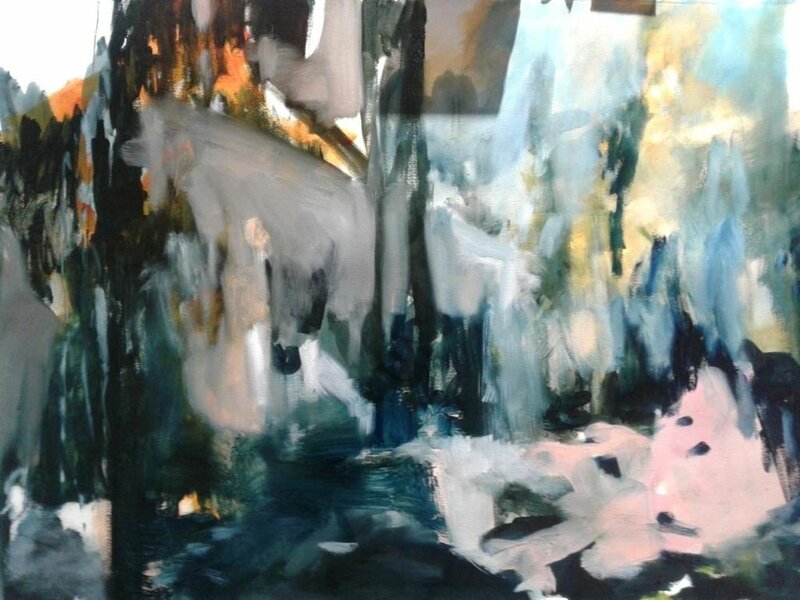 I am considering whether the exploratory nature of painting can recall my experience of being there, and perhaps describe my some of my sense of connection with the site. 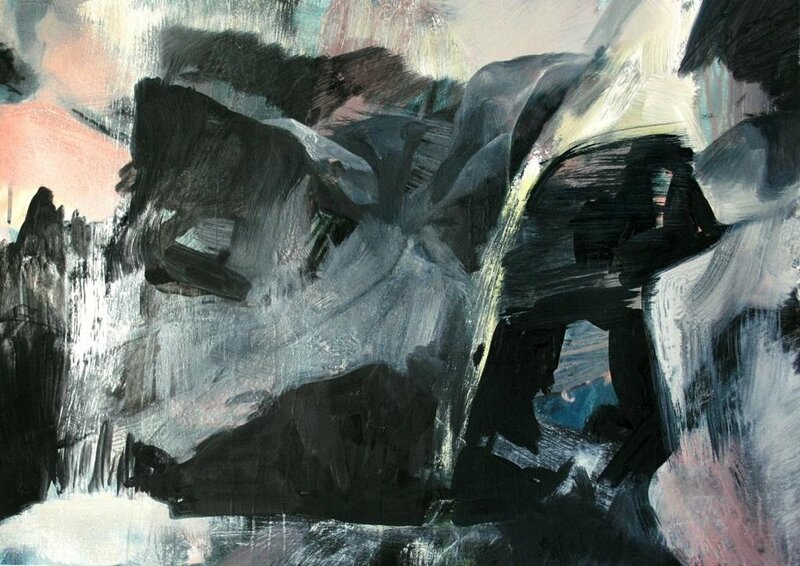 Jane Bennett talks about thing-power in her writing about vibrant matter; if I apply her concept to my experience of this land, perhaps in these paintings I am responding to the vibrant matter of the site. The titles give a nod to some of Jean-Francios Lyotard’s ideas about the difference between landscape and place. Place is a destination, but landscape is somehow unknowable, deeper, there is more than meets the eye. As a child I spent a lot of time on this mountain and visited this site many times, so the paintings operate on both memory and sensatory levels. The palette, use of pictorial space, and composition, direct focus in a dynamic manner to the ambiguity of the visual space, hinting and suggesting at windows into an unknown or unreachable landscape. The work aims to connect to a wider theme of time and duration. From the methodology I used to gather information from the site on a visit last year, to drawing on my memory of the past, it is a moment in time with multiple layers and ambiguities. I hope that the work stimulates curiosity and invites a closer or extended look.